Should we - as Wedding Suppliers - embrace social media at weddings or discourage it? How do you feel about social media at weddings? Wedding suppliers…it’s time to join the debate! Social media at weddings – it’s like marmite. No matter how long you’ve been working in the wedding industry for, we can all appreciate that there’s something about the simplicity of watching a wedding with your eyes rather than through the screen of a smartphone that makes the old fashioned way seem more meaningful and appealing. Couples have probably spent a fair amount of time and money on making their big day one to remember and being present to fully experience the wedding is something guests didn’t have to be asked to do just a few years ago. They’d just do it. But many millennial couples are embracing social media as an official part of their ‘wedding package’ and are encouraging guests to snap away and document their day. To be fair to them, the next generation of brides and grooms grew up on the internet and for many of them, their wedding simply wouldn’t seem official or complete unless it’s posted on a few social newsfeeds. It’s unnatural for them not to post. Newlywed millennials change their status to “married” on Facebook or Instagram before they’ve even gone down to breakfast the morning after their nuptials. 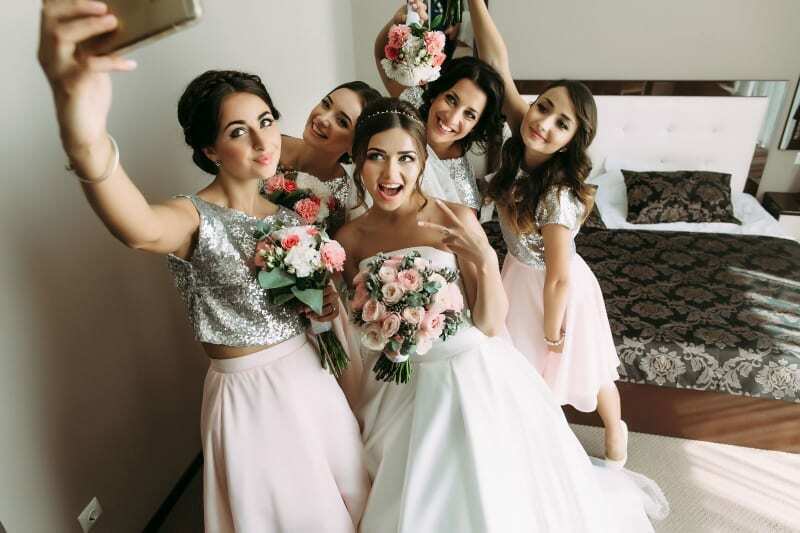 There’s no denying that wedding professionals who incorporate wedding hashtags and make it easy for couples to share, tag and find wedding photos and videos on Facebook, Snapchat and Instagram have an advantage with younger couples compared to wedding suppliers who won’t entertain the idea at all. Are you willing to facilitate the move to real-time online weddings by making it easy for couples and their guests to upload and share photos and videos with just one click? Or are you on team “unplug” – determined to preserve the sanctity of weddings by refusing to encourage all guests to become photographers? The main focus of every wedding day is on making sure that the newlyweds are happy. Does everyone being glued to their phones add to their big day or detract from it? The decision to plug or unplug should ultimately be the couples. If you choose to be open about plugged in weddings and offer to support digi-savvy couples, you’ll need to work closely with each of them to come up with ways to share content in real time. 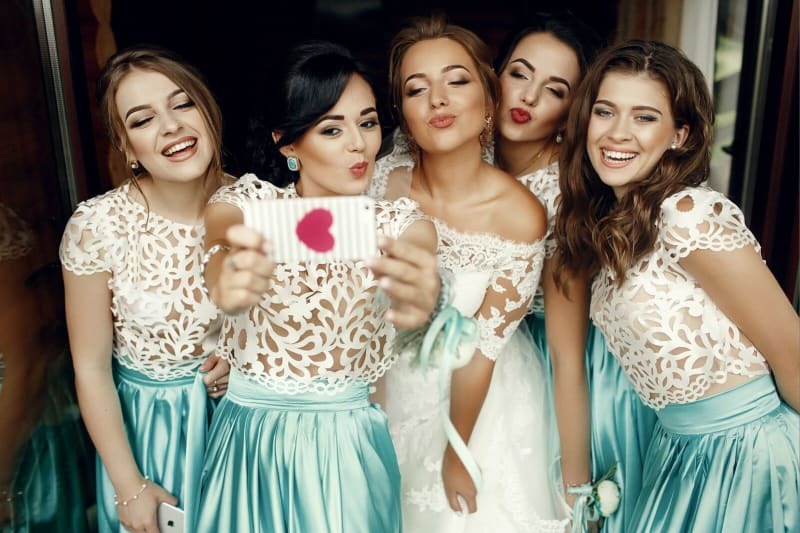 Use wedding hashtags, ask if couples use Periscope and impress them by asking if they’d like to stream live, behind the scenes footage of them each getting ready for their wedding day! And of course, ensure that your couples can easily upload and download any pictures and videos you take after the wedding. Tip: ask plugged in couples to follow your wedding business on any social channels you’re present on and ask them to tag you in any posts they share. This way you’ll benefit from some free social advertising. You’re completely against it. 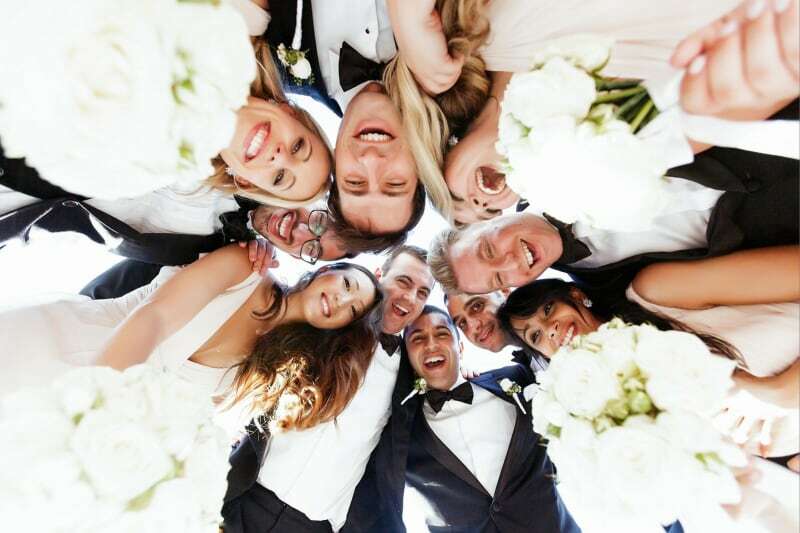 The unappointed guest paparazzi don’t just ruin the wedding for themselves AND for the couple getting wed, it also affects your ability as a wedding professional to do the best job possible. You refuse to be a part of something where guests are removed from the experience and more interested in editing pics of themselves than toasting the happy couple. Own your opinion and lead the charge! Become an advocate for couples who want to experience every moment and encourage their guests to be present in the moment. How do you feel about social media at weddings? When it comes to the marmite of millennial weddings, do you love it or hate it?